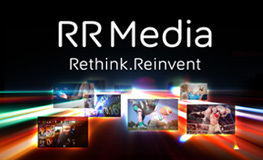 RR Media acquires Satlink Communications. Airport City Business Park, Israel, June 2015: RR Media has acquired Satlink Communications for $19 million subject to bank debts and other certain adjustments. This transaction comes quickly after the recent acquisition of Eastern Space Systems (ESS) as part of a continued strategy to increase scale and expand service capabilities. Management expects that the acquisition of Satlink Communications followed by the integration of the companies networks will broaden RR Media industry leadership by expanding its global content distribution network and content management footprint, strengthening its customer mix by adding upper-tier customers, as well as enriching its media industry expertise. Avi Cohen, CEO of RR Media, commented, "This acquisition, along with the recent acquisition of ESS and the previous acquisitions made in recent years, form essential elements of our strategy to increase the scale of the company expanding our global presence, growing our smart global distribution network and content management services, expanding our service offering, enhancing our mix of premium customers and leveraging world-wide industry expertise. This acquisition is expected to contribute to our bottom line in 2015 and beyond. We have watched Satlink accomplishments over the years and we are extremely happy to have Satlink become part of RR Media." As a result of this acquisition, RR Media will be able to offer its extensive customer service and a wide-range of digital media services to all existing Satlink customers. This includes full access to RR Media's global media services platform with the capability to provide a comprehensive suite of solutions, including expanded content distribution, content management and preparations services, online video services and sports and live event solutions. David Hochner, Chief Executive Officer of Satlink Communications, said of the acquisition, "In this dynamic media market, we believe it is the right decision to join a leading global media services provider like RR Media. Our customers will benefit from a greater scale of state-of-the-art digital media service capabilities, technologies and customer support that would enable our customers to monetize their content further through expanded audience reach and viewing possibilities." Mr Hochner will remain with the combined organization, serving on RR Media's management team. As a result of the acquisition, RR Media expects to generate incremental revenue of approximately $25 million and adjusted EBITDA of $5 million in 2016. The business and operational integration is planned to be completed by the end of this year.